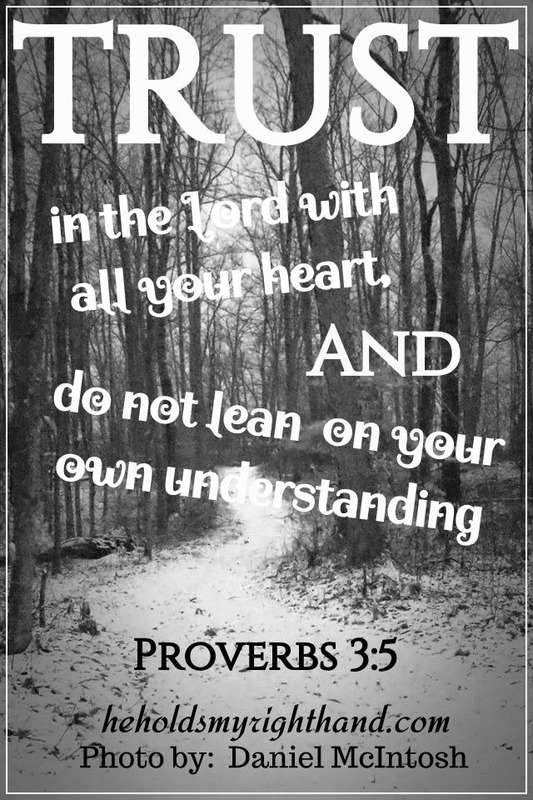 I have been hearing from others about how they are having a hard time trusting the Lord to work things out in their lives. In certain situations, I have had these same thoughts myself, and have had to purposely put my faith into action. So, my Sunday posts for 2018 are going to be focusing on TRUST, and on putting our faith into action. Some weeks, I may have a story to tell; other weeks I may share a quote; and on some of the posts I might only have a Bible verse to share and focus on for that week. 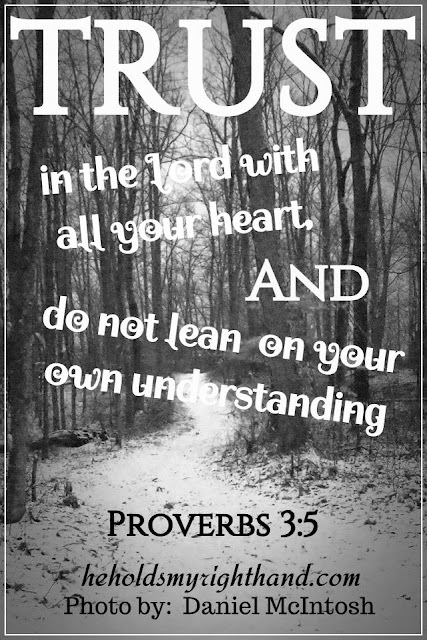 I hope these posts will be a reminder to you, as well as to myself, to rely on the Lord more, to lean on Him for strength, and to have confidence in knowing HE is the one in control.